Kolkata, the City of Joy, could well have been named the City of Food. For the cuisine is so distinct and delicious that it attracts food lovers like a magnet. 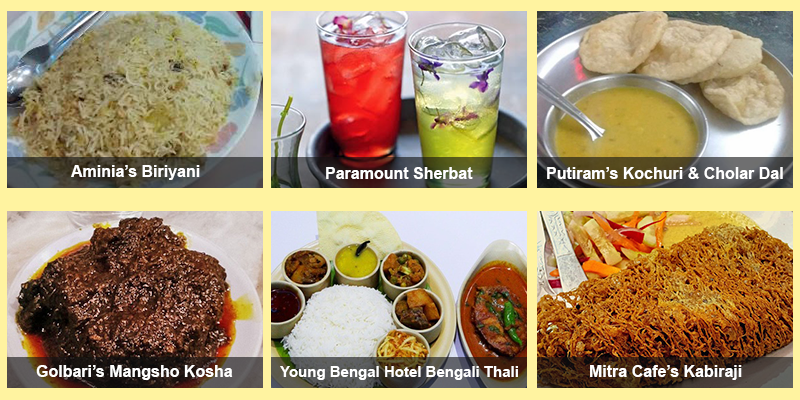 Traditional Bengali dining is not complete without many course meals. While the world might opine that food is just a source of energy and life, for the Bongs food is life itself! Are you visiting or planning to visit Kolkata? If yes, do not waste your taste buds by visiting some of the popular food chains. So, where to visit? Well, we will discuss some of the popular spots that you may stop by and have food at reasonably affordable prices. Breakfast at Putiram: This is a famous sweetmeat shop near College Street (at Surya Sen Street to be precise). 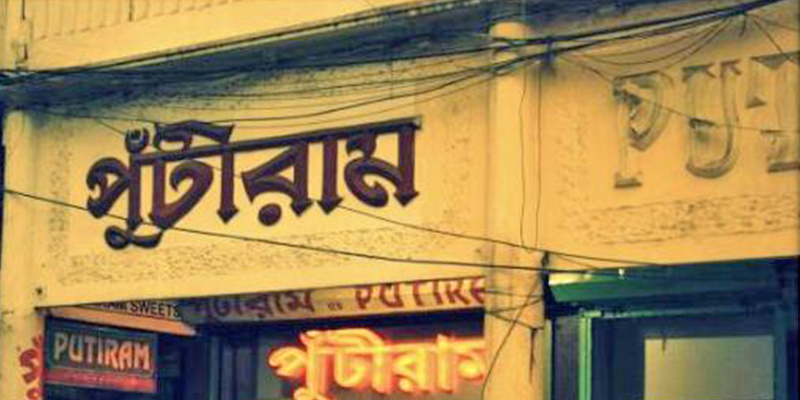 The 150 year old shop is known for its traditional Bengali breakfast dishes such as Kochuri, Potato Curry and Cholar Daal. Jalebis at this shop are especially delicious and run out of stock before 9 AM. It is situated a short distance from the MG Road metro station. 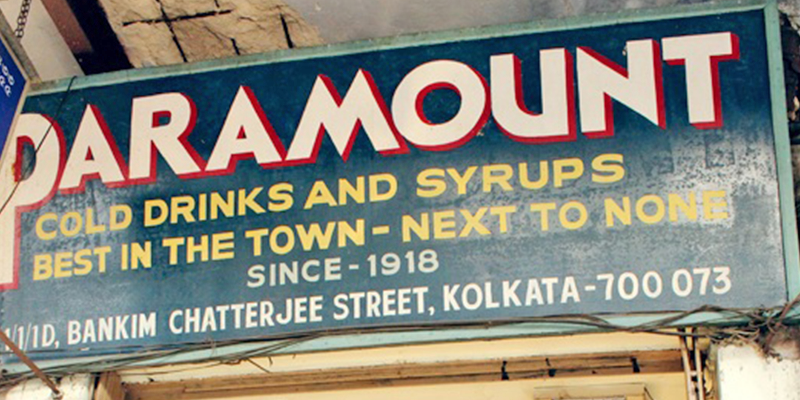 Paramount Sherbets: Established in 1918, Paramount situated opposite to College Square is the destination for some solacing drinks. Over the years, politicians, freedom fighters, film stars of the golden era, and many more have visited Paramount. Most popular drinks available here are Cocoa-malai, Dab-Sherbet, Mango-malai. Rose Syrup and the Tamarind Syrup are water based famous drinks. Bengali Lunch at Young Bengal Hotel: This 87 year old serves delicious traditional Bengali cuisine food. Situated in Kidderpore, the fish curries and vegetable preparations served with rice at this restaurant draw food lovers from various parts of Kolkata. 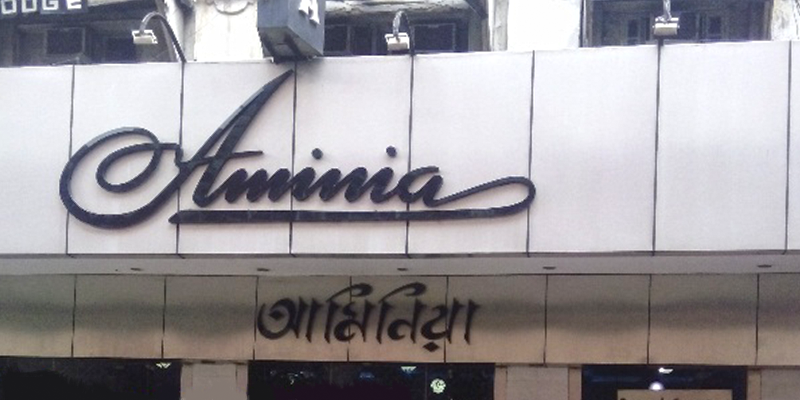 Delicious Biryani at Aminia: Situated in the heart of the city, in Esplanade to be precise, Aminia is a known name across Kolkata for its Mughal cuisine. Only a couple of years back, Kolkata Biryani was voted as the tastiest variety of Biryani in India. And you can judge just why by ordering for a plate of Biryani at Aminia. Couple it up with Chicken Rezala or Chicken Chap and you will be left licking fingers. Finish off the meal with some Firni. Snacks at Mitra Cafe: One of the last remaining Cabins that had become an integral part of Bong culture in 1970s and 80s. This is a sort of snacks bar, where people flock in the evening. Situated just opposite to Shobhabazar metro station, the Kobirajis (mutton, chicken and fish) at this joint are a must have. Kobiraji is a deep fried slab of meat with egg sliver coating. 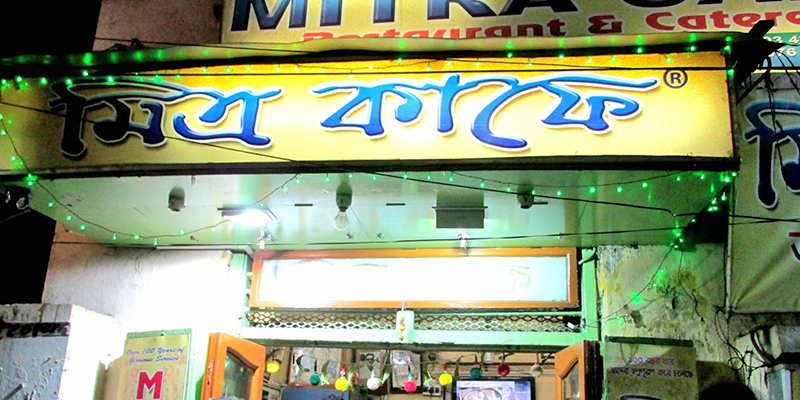 Apart from Kobiraji, Mitra Cafe is also famous for Fish Diamond Fry, Fowl Cutlet, Dimer Devil (Deep Fried Egg with special filling) and Brain Chop. Kosha Mutton at Golbari: The name itself brings water to the mouth of Bongs. The mutton kosha and roti cooked resembles the food cooked in Bengali cuisine, multiplied many times over in taste. 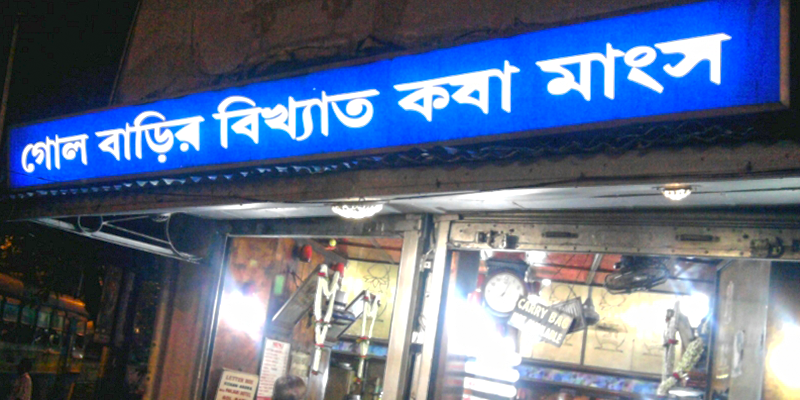 The restaurant, which is rather one room not too fancy shop, is situated near Shyambazar metro station. Golbari has been operated by the Arora family for three generations now and no one really knows the secret ingredient that they put into the Kosha Mangsho (mutton) to make it finger licking good! Hope you enjoyed reading this delicious article. Stay tuned with us to hunt for such eateries in other cities. Thanks for your comment. We know, we may have missed out on some of your favorites but we had to leave out some.